How did Metal Gear Solid V: Ground Zeroes do in Japan? Curious how the latest installment in the Metal Gear Solid series has been received by gamers in Japan? Here are the sales numbers for week 12 (March 17 – March 23) from three different sources. First, the Media Create software sales. Here, we find the PlayStation 3 version at number 3, with 119,615 copies sold. In 6th place is the PlayStation 4 version, which sold 91,903 copies. Metal Gear Solid V: Ground Zeroes enters at number 2 (PlayStation 3) and number 5 (PlayStation 4) in the latest Tsutaya sales charts. The game does even better here, taking first place for the PlayStation 3 version (151,300 copies sold) and fifth place for the PlayStation 4 (100,278 copies sold). 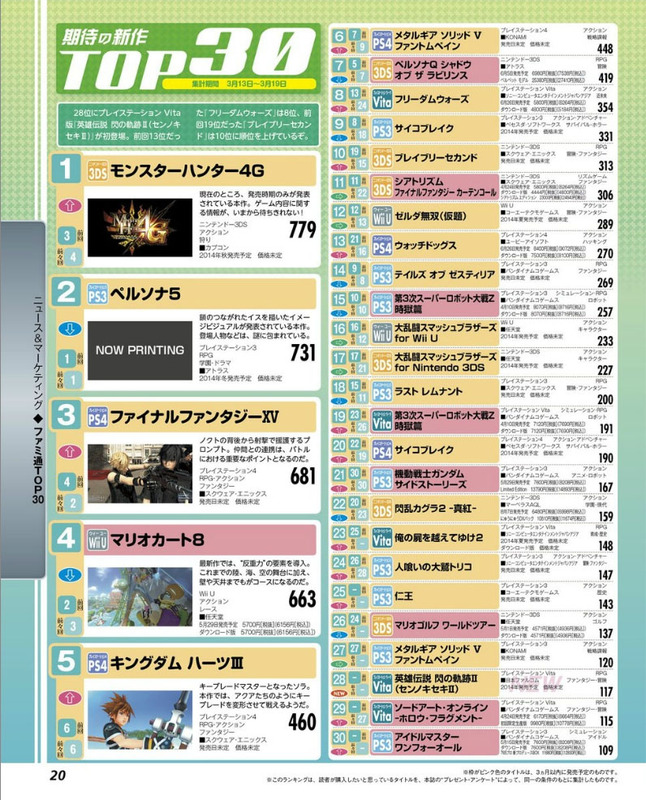 Speaking of Famitsu, in the latest most wanted charts Metal Gear Solid V: The Phantom Pain sits at number 6 (PS4 version). Not surprisingly considering the lack of success of Microsoft’s consoles in Japan, the Xbox 360 version doesn’t appear in any of the lists. Neither does the Xbox One version, because it isn’t out yet in Japan (since the console hasn’t been released there either).